KYSTDESIGN has over the past years delivered several gas sampling units according to various specifications. 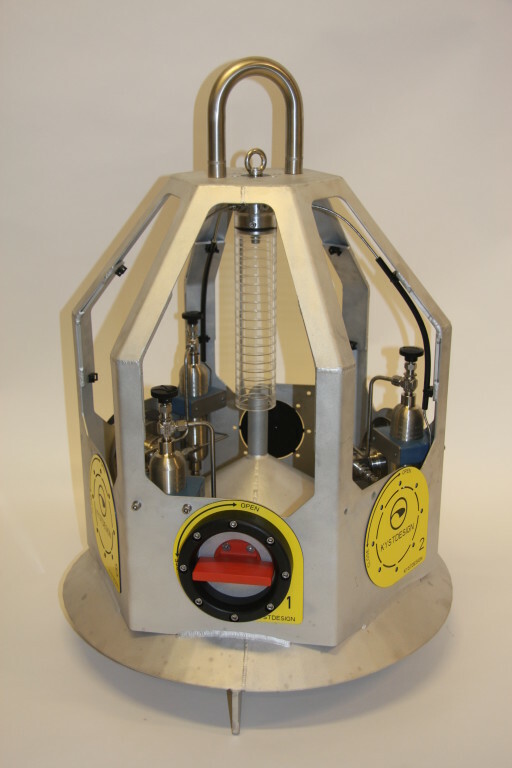 The most common version is delivered with transparent measuring pipe to decide leak rate and one sampling bottle for recovery of gas samples to the surface. This sampler unit is hydraulic operated by the ROV. The sampler can be delivered with two alternative measuring pipes, and with a extension skirt as shown on the picture below. An other version is a free standing unit with measuring pipe and capability for 6off sample bottles. 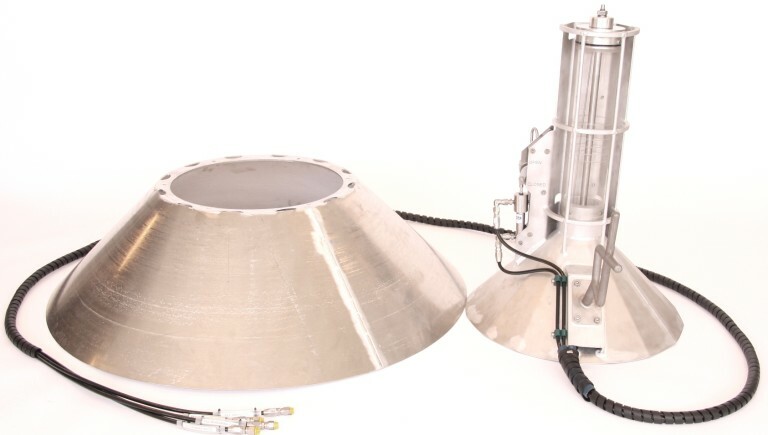 Each sample bottle valve is operated by integrated panel mounted ROV valves to avoid hydraulic connection to the ROV.